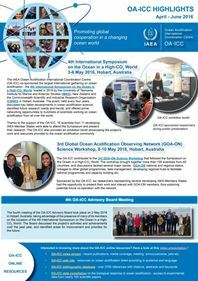 • We have measured hydrographic and carbonate system parameters in the western South Atlantic Ocean (WSAO). • AT and CT are governed by calcification/dissolution and dilution/evaporation processes in the WSAO. • Cant has already invaded the central and intermediate layers in the WSAO. Increases in atmospheric carbon dioxide (CO2) concentrations since the beginning of the Industrial Revolution have led to increases in the flux of CO2 into the oceans. A large fraction of this increased flux occurs due to anthropogenic carbon (Cant), i.e., the excess carbon released by human activities. The oceans take up large amounts of Cant, and this process likely affects calcifying organisms and the formation and dissolution of calcium carbonate (CaCO3). In this study, we measured hydrographic and carbonate system parameters in the western South Atlantic Ocean (WSAO). This region is key for understanding climate issues; however, it remains understudied, especially regarding the drivers of ocean acidification and its effects on marine organisms and ecosystems. Using novel data collected in this undersampled area of the global ocean, we (i) determined values of the marine carbonate system parameters and (ii) characterized the seawater acidification state along the western boundary current off the southeastern and southern coasts of Brazil. Specifically, we measured total alkalinity (AT) and pH and applied the TrOCA approach (to derive the Cant storage in the water masses) in the study area. Our results show that (i) AT and the dissolved inorganic carbon distribution in the study region are governed by calcification/dissolution and dilution/evaporation processes and that (ii) Cant is present in the central and intermediate water masses at an average concentration (± method precision) of 75.0 ± 6.6 μmol kg−1 and at depths of up to ~1000 m. The highest concentrations are observed in the lower levels of the Tropical Water (TW), although we cannot exclude an overestimated Cant concentration in this layer, and the South Atlantic Central Water (SACW). These findings suggest that cross-shelf processes likely contribute to increased Cant along western boundary current systems. The storage of Cant in the SACW and the Antarctic Intermediate Water (AAIW) has led to long-term pH decreases of −0.17 ± 0.07 and −0.10 ± 0.06 pH units, respectively. Global impacts are affecting negatively coral reefs’ health worldwide. Ocean acidification associated with the increasing CO2 partial pressure in the atmosphere can potentially induce oxidative stress with consequent cellular damage in corals and hydrocorals. In the present study, parameters related to oxidative status were evaluated in the hydrocoral Millepora alcicornis exposed to three different levels of seawater acidification using a mesocosm system. CO2-driven acidification of seawater was performed until reaching 0.3, 0.6 and 0.9 pH units below the current pH of seawater pumped from the coral reef adjacent to the mesocosm. Therefore, treatments corresponded to control (pH 8.1), mild (pH 7.8), intermediate (pH 7.5) and severe (pH 7.2) seawater acidification. After 0, 16 and 30 d of exposure, hydrocorals were collected and the following parameters were analyzed in the holobiont: antioxidant capacity against peroxyl radicals (ACAP), total glutathione (GSHt) concentration, reduced (GSH) and oxidized (GSSG) glutathione ratio (GSH/GSSG), lipid peroxidation (LPO) and protein carbonyl group (PC) levels. ACAP was increased in hydrocorals after 16 d of exposure to intermediate levels of seawater acidification. GSHt and GSH/GSSG did not change over the experimental period. LPO was increased at any level of seawater acidification, while PC content was increased in hydrocorals exposed to intermediate and severe seawater acidification for 30 d. These findings indicate that the antioxidant defense system of M. alcicornis is capable of coping with acidic conditions for a short period of time (16 d). Additionally, they clearly show that a long-term (30 d) exposure to seawater acidification induces oxidative stress with consequent oxidative damage to lipids and proteins, which could compromise hydrocoral health. The susceptibility of coastal environments to shifts in the biogeochemical cycles of carbon and nutrients driven by anthropogenic pressure and climate change is a real challenge for the scientific community. This paper evaluated the effects of an extreme rainfall event over the nutrients and carbonate parameters in two polluted tropical estuaries. Surface water samples were taken seasonally along a salinity gradient in the Capibaribe and Barra de Jangadas estuaries in order to investigate the spatial and seasonal variability of dissolved nutrients, chlorophyll-a, dissolved oxygen, total alkalinity, inorganic carbon, partial pressure of CO2 (pCO2) and CO2 fluxes. The increased riverine influence caused by the fluvial flooding during the extremely rainy season augmented the nitrogen concentrations in the plumes, which also presented reduced salinity, alkalinity and dissolved oxygen values. In the Capibaribe plume it has also shifted the mean CO2 flux value of – 4.01 mmolC m-2 d-1 during the dry season, to a positive mean flux of + 5.7 mmolC m-2 d-1 during the rainy season. Within the estuaries the BOD5,20 and dissolved phosphorus values were higher during the dry season (p<0.0001), they showed positive correlation with the phytoplanktonic blooms that reached a chl-a value of 85 mg m-3 in the Capibaribe. The high alkalinity found in both estuaries, with mean values between dry and wet seasons respectively from 1808 to 1373 µmol kg-1 in the Capibaribe estuary and 1616 to 1058 µmol kg-1 in Barra de Jangadas estuary, may act as a buffer to the process of coastal acidification due to eutrophication. The increased rivers discharge lead to a greater transport of organic matter and nutrients to the coast, decreasing the oxygen availability and shifting the metabolic status of the estuarine plume to heterotrophic, whereas increased the water quality within the estuaries due the flushing promoted by the extreme rainfall event. • In a future scenario, attenuation by DOM outcompetes its physico-chemical role. • Global change conditions will favor growth and photosynthesis of nanoplankton. • Global change favors growth and photosynthesis of nano- as compared to microplankton. We evaluated the dual role of DOM (i.e., as a source of inorganic nutrients and as an absorber of solar radiation) on a phytoplankton community of the western South Atlantic Ocean. Using a combination of microcosms and a cluster approach, we simulated the future conditions of some variables that are highly influenced by global change in the region. We increased nutrients (i.e., anthropogenic input) and dissolved organic matter (DOM), and we decreased the pH, to assess their combined impact on growth rates (μ), species composition/abundance and size structure, and photosynthesis (considering in this later also the effects of light quality i.e., with and without ultraviolet radiation). We simulated two Future conditions (Fut) where nutrients and pH were similarly manipulated, but in one the physical role of DOM (Futout) was assessed whereas in the other (Futin) the physico-chemical role was evaluated; these conditions were compared with a control (Present condition, Pres). The μ significantly increased in both Fut conditions as compared to the Pres, probably due to the nutrient addition and acidification in the former. The highest μ were observed in the Futout, due to the growth of nanoplanktonic flagellates and diatoms. Cells in the Futin were photosynthetically less efficient as compared to those of the Futout and Pres, but these physiological differences, also between samples with or without solar UVR observed at the beginning of the experiment, decreased with time hinting for an acclimation process. The knowledge of the relative importance of both roles of DOM is especially important for coastal areas that are expected to receive higher inputs and will be more acidified in the future. 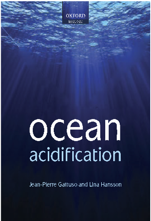 The oceanic uptake of anthropogenic CO2 leads to a gradual acidification of the ocean. Ocean acidification (OA) is known to affect marine biota from the organism to the ecosystem level but with largely unknown consequences for the cycling of key elements such as carbon, nitrogen, and phosphorus. However, the ocean’s ability to absorb anthropogenic carbon or to provide sufficient food for humankind depends on these oceanic material cycles. This doctoral dissertation thus aimed to assess the influence of OA on biogeochemical cycles of elements in natural pelagic food webs of several trophic levels (up to fish larvae) over extended time scales of weeks to months. Large-scale pelagic mesocosms (up to 75 m3 per unit) were deployed in different marine ecosystems and new methods were developed to quantify the downward flux of particulate organic matter under simulated OA. This thesis reports on the potential influence of OA on element pool partitioning and particulate organic matter stoichiometry with consequences for biogeochemical cycling of elements in the ocean. Furthermore the potential and limitations of biogeochemical measurements inside pelagic mesocosms that host entire plankton communities are elucidated. In Patagonian coastal areas, intertidal benthic communities are exposed to extreme physical conditions. The interaction between harsh environment and anthropogenic pressure can generate changes in population biology of marine invertebrates, like density and reproduction. The oral brooding sea star Anasterias minuta is a key organism in food chains of Atlantic Patagonian rocky intertidals, hence changes on its population structure can negatively affect shore communities. We studied the population biology of A. minuta and assess the effect of environmental parameters and anthropogenic activities on its population on rocky intertidal shores of San Matías Gulf, Patagonia, Argentina. Seasonal sea surface temperature, pH, salinity, water velocity, desiccation rate, boulders density, and anthropogenic influence (tourists and octopus fishermen) were recorded. In sites with less tourist influence and high refuge, an increase in density was recorded, especially during the summer. Brooding individuals were found in fall and winter, while feeding individuals were observed in all seasons (12 different prey, mainly the molluscs Tegula patagonica and Perumytilus purpuratus). Environmental variables such as boulders density and water velocity were the most important predictor of variation in population structure. Tourism and pH were the most important variables negatively correlated with density. • C. gigas and C. brasiliana showed differentiated biochemical response to hypercapnia. • Juveniles presented a more pronounced stress response than adults in both species. • Contrasting metabolic shifts were observed between both species to endure hypercapnia. • Antioxidant and metabolic responses were sufficient to prevent excessive LPO. Environmental hypercapnia in shallow coastal marine ecosystems can be exacerbated by increasing levels of atmospheric CO2. In these ecosystems organisms are expected to become increasingly subjected to pCO2 levels several times higher than those inhabiting ocean waters (e.g. : 10,000 µatm), but still our current understanding on different species capacity to respond to such levels of hypercapnia is limited. Oysters are among the most important foundation species inhabiting these coastal ecosystems, although natural oyster banks are increasingly threatened worldwide. In the present study we studied the effects of hypercapnia on two important oyster species, the pacific oyster C. gigas and the mangrove oyster C. brasiliana, to bring new insights on different species response mechanisms towards three hypercapnic levels (ca. 1,000; 4,000; 10,000 µatm), by study of a set of biomarkers related to metabolic potential (electron transport system – ETS), antioxidant capacity (SOD, CAT, GSH), cellular damage (LPO) and energetic fitness (GLY), in two life stages (juvenile and adult) after 28 days of exposure. Results showed marked differences between each species tolerance capacity to hypercapnia, with contrasting metabolic readjustment strategies (ETS), different antioxidant response capacities (SOD, CAT, GSH), which generally allowed to prevent increased cellular damage (LPO) and energetic impairment (GLY) in both species. Juveniles were more responsive to hypercapnia stress in both congeners, and are likely to be most sensitive to extreme hypercapnia in the environment. Juvenile C. gigas presented more pronounced biochemical alterations at intermediate hypercapnia (4,000 µatm) than C. brasiliana. Adult C. gigas showed biochemical alterations mostly in response to high hypercapnia (10,000 µatm), while adult C. brasiliana were less responsive to this environmental stressor, despite presenting decreased metabolic potential. Our data bring new insights on the biochemical performance of two important oyster species, and suggest that the duration of extreme hypercapnia events in the ecosystem may pose increased challenges for these organisms as their tolerance capacity may be time limited.